Sponsorship of the IAA seminar programme for 2018 - 2019 offers the opportunity for businesses to to associate their brand and company to IAA's highly regarded seminar programme. Examining software and staffing support to streamlined and integrated administration, clinical, reporting, claiming and accounting systems that ensure compliance with privacy legislation. Open to IAA members and their office staff. With input from software developers, administration staff and clinic directors. Seminar sponsors have the opportunity to demonstrate how product software can enhance practice management - be that via data recording and uploads/downloads, satisfaction ratings, self/machination learning processing strategies, smart user-clinic interface apps, or other tools that help to monitor efficiency and effectiveness. In-depth investigation of this important topic from the perspective of public space planning, acoustic architecture, device use, audiology and consumer experience. Open to any person who is interested in this topic and to be offered with input from consumer groups. Seminar sponsors have the opportunity to demonstrate your products and software solutions for addressing difficulty hearing in noise to a wide range of audiologists and consumers. Our downloadable sponsorship brochure that outlines the sponsorship offer. Sponsor one or both IAA seminars - the choice is yours. Sponsorship fees proportional to target numbers of delegates with whom you will connect. Send two staff members AT NO CHARGE to each seminar that you sponsor. 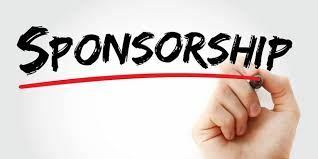 Single level of sponsorship for each seminar offers equal opportunity for all sponsors to create a memorable impact on seminar delegates. or call 0424 720 915.